Perhaps the easiest of these issues to resolve is the dissolution of the marriage itself. Unlike many states, Arizona does not require a specific reason for divorce. Arizona judges do not need to make a finding as to why one or both parties want to be divorced. It’s enough for one party to indicate their desire to be divorced and that the marriage is irretrievably broken. Under Scottsdale Arizona law, the reason for divorce is irrelevant. It is an unfortunate reality that domestic violence and abuse abound in our society today. It can be difficult to recognize signs of abuse and even more difficult for victims to speak out about what is happening to them. 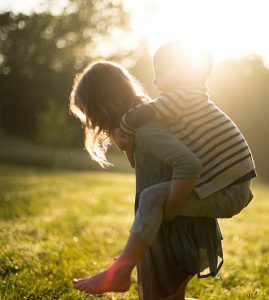 At the Tiffany Fina Law Firm, we believe it is important for victims of abuse to understand their legal options for protection so that they can better protect themselves and their families. Can I represent myself in my Arizona divorce? Yes. Arizona does not require a person to hire an attorney to represent them in their divorce. 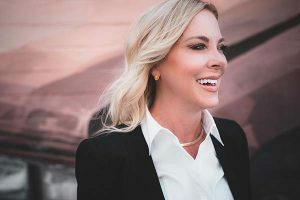 However, keep in mind that Arizona law holds a person representing themselves to the same standards, rules and procedures as a licensed attorney. Therefore, it is HIGHLY recommended that you hire an attorney to assist you in this legal process. How do I begin the divorce process in Arizona? The first step in obtaining a divorce in Arizona is filing for a petition of dissolution of marriage, along with the required documents. The person filing for the petition is called the “Petitioner.” Once these documents are filed with the court, a private process server will “serve” them to the other spouse. The receiving spouse is called the “Respondent.” The Respondent then has 20 days (or 30 days if they do not reside in Arizona) to respond. Can I file for divorce in Arizona if I was married in another state? Yes. If you have lived in Arizona for at least 90 days, you can file for divorce in Arizona. What are the grounds for divorce in Arizona? Arizona is a no-fault divorce state. This means that you only need to prove to the court that your marriage is irretrievably broken. If you and your spouse agree on all issues of your divorce, the Consent Decree for Dissolution of Marriage can be submitted to the court 60 days after the Petition for Dissolution is served to the Respondent. Are assets divided 50/50 in an Arizona divorce? Arizona is a community property state. This means that assets, property, and debt are generally divided by the court in an equitable manner. What does it cost to get a divorce in Arizona? These are just some of the factors and not a complete list. Speak with your attorney to get a better understanding of what costs you can expect with your divorce. Are there ways to reduce the cost of my divorce? Yes. Some individuals choose to handle their divorce on their own to save money. While some divorce cases may be very simple and may not need the assistance of an attorney, this is not usually the case. It’s important that you educate yourself on the issues pertaining to your divorce. This way you will have a better understanding of what you will need to do if you choose to handle your divorce yourself or what you will need from an attorney if you choose to seek their assistance. Keep in mind that with most divorces, there are many variables. It is highly recommended that you consult an attorney to ensure your rights and assets are protected. Not always. If you and your spouse agree on all terms of your divorce and both sign a Consent Decree, you may be available to avoid going to court. There may be other instances where you may be able to avoid appearing in court. Speak to your attorney to learn more. What issues must be resolved in my divorce? Can my spouse and I hire the same attorney? No. Even if you and your spouse agree on all the terms of your divorce, it would be unethical for an attorney to represent both parties. What if I am served with a petition for dissolution and I do not respond? If you do not respond to the Petition for Dissolution of Marriage (Arizona’s legal term for divorce), your spouse may be able to proceed with the divorce process without any input from you. This is referred to as a default divorce and puts the default party at substantial risk. Contact your attorney for assistance and questions about responding to the Petition for Dissolution of Marriage. Is Arizona a no-fault divorce state? Yes. This means that you do not have to allege fault or wrongdoing to get a divorce in Arizona. Can you contest a divorce in Arizona? Yes. Although you cannot contest the actual divorce, you can contest the terms of the divorce, such as child custody, child support, spousal support, etc. Is an Annulment the same thing as divorce? Although an annulment and a divorce both legally dissolve the marriage, an annulment means that legally the marriage never existed. Can I make my spouse pay for my divorce attorney? In some cases, the court may award attorney fees to one spouse if there is a financial disparity between the two parties. Are my divorce attorney fees tax deductible? Typically, the answer is no. However, according to the IRS, “in some circumstances taxpayers are permitted to deduct fees associated with the collection of alimony payments.” There are limitations to this, so speak with your tax professional to learn me. Is medication available to assist us in resolving issues in our divorce? Yes. You can either motion for court Conciliation Services to help mediate disputes or you can utilize a private mediator for resolution. How soon can I remarry after my divorce? Once your divorce is final, you may remarry immediately, there is no waiting period. Hire a divorce attorney with experience in family law. A personal injury attorney may be a skilled attorney in his/her field, but you want an attorney with experience in family law to protect you. How can I protect my credit rating during divorce? Tiffany Ann Fina has been helping families and individuals for 19 years. "I just want to say that Tiffany was a true blessing to our family. She fought for the children and took their concerns into consideration. She is a true advocate for the children. We felt that she had a personal connection and it was not just a job but a family that needed a voice. Tiffany's voice allowed the children to be placed with a family that allowed them to grow and didn't let the State or anyone else stop her from doing her job! It was not about the money with her it was all about the children and their future! Thank you so much for enriching our lives, Michelle!" "Tiffany is so on point! Her energy, her compassion, and her values make her the best of the best. She understands the laws and truly cares about her clients. She has taken much stress off my plate and has made me feel like I am not alone in the process. Without a doubt, I would highly recommend Tiffany." ©2018 Tiffany Fina Law. All rights reserved.